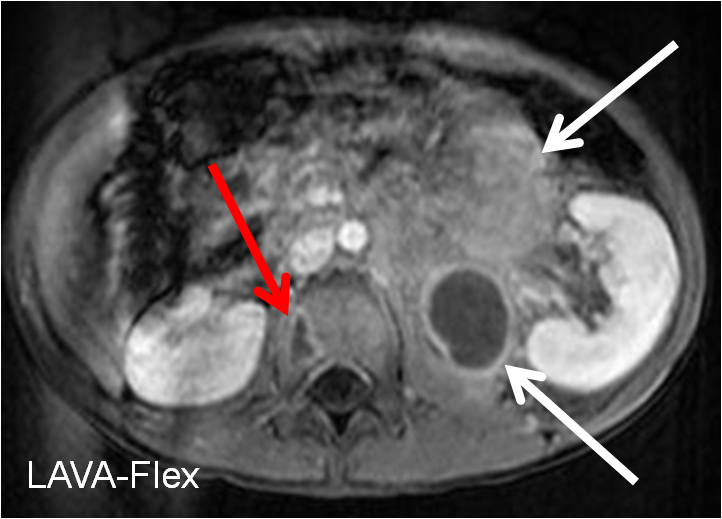 Axial LAVA-Flex MRI demonstrates a large mass medial to the left kidney (white arrows) which displaces but does not invade the kidney. In the adjacent vertebral body there is a rim enhancing mass (red arrow) concerning for bone metastasis. 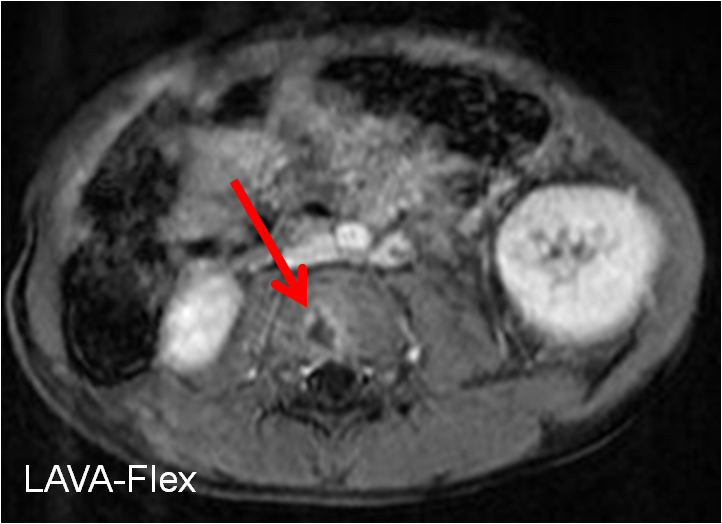 Axial LAVA-Flex MRI at a level inferior to the first image in this post. 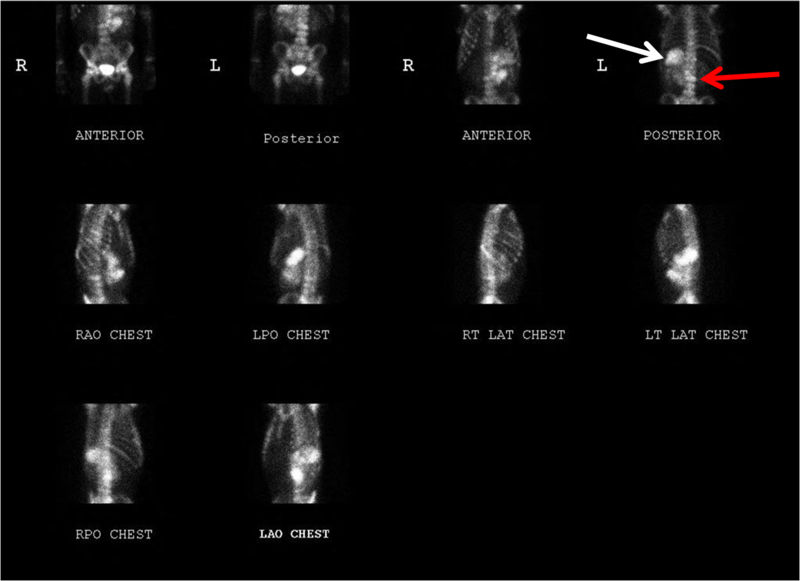 At this level there is an additional rim enhancing lesion in the vertebral body (red arrow) concerning for additional bone metastasis. The patient subsequently went on to bone scan with Tc99m-MDP. There are hot lesions throughout the spinal column (red arrow) and a hot mass within the left hemiabdomen (white arrow), correlating to the MRI findings. Unfortunately, this is a case of metastatic neuroblastoma in a 6 year old male which was diagnosed initially on MRI. Neuroblastoma is the most common extracranial solid malignancy in children, and the third most common overall cancer in children. They most commonly arise from the adrenal medulla or retroperitoneum, and usually they present around 2 years old. The older age of presentation in this 6 year old boy unfortunately portends a worse prognosis.